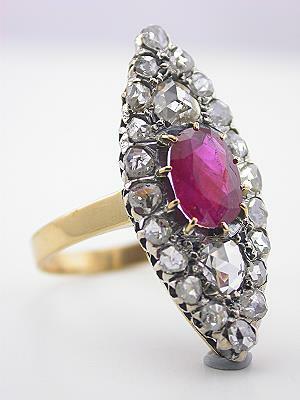 Bearing a French hallmark, the band of this Victorian ruby dinner ring is made of 18k yellow gold. 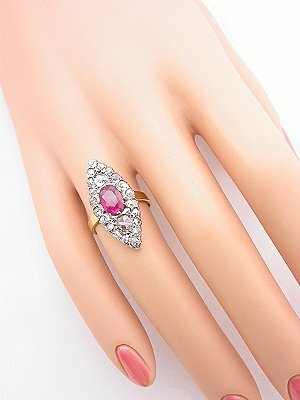 A silver top displays a glittering display of red and white in this Victorian antique ring. 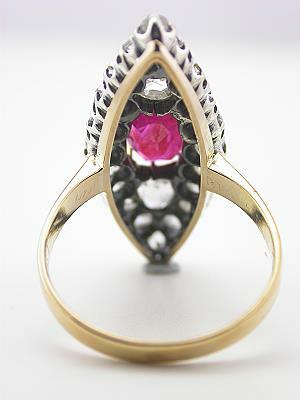 An oval faceted mixed cut ruby is set at the center of this Victorian dinner ring. 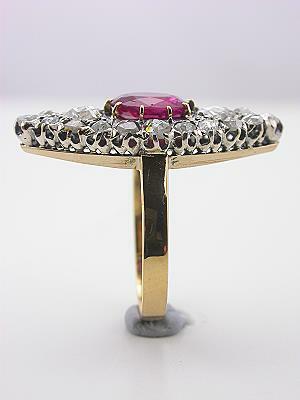 The gemstone weight of the centerpiece ruby is 1.05 carats. A collection of rose cut diamonds surrounds the ruby, reflecting its beauty. The diamonds total 0.93 carats. French hallmark. Circa 1870.